MONTERREY, Mexico — He goes by the nickname El Bronco, and he aims to buck the political system in Mexico. For the first time since a constitutional change in Mexico in 2012 allowing independent candidates, one is making a serious run for governor. And the political world is eager to see if he upsets the entrenched order, not just in his state but also in a nation increasingly frustrated and exhausted by the status quo. It also helps that the insurgent comes in the form of Jaime Rodríguez Calderón, 57, a cursing former mayor and rancher in cowboy hat and boots who wants to run Nuevo León, a large state along the Texas border that is a hub for big business as well as organized crime. Mr. Rodríguez, in interviews and on the campaign trail, veers from humility to arrogance, calling himself a simple, unvarnished rancher while making it clear, over and over, that he has the fortitude — he uses an anatomically vulgar synonym — to set things right. The head of Mexico’s National Electoral Institute was forced to apologize after illegally recorded audio of him ridiculing indigenous people leaked online. Lorenzo Córdova Vianello, the director of the group that will oversee the country’s elections June 7, was still trending on Twitter Wednesday morning as users passed around the controversial clip. The audio, thought to have been obtained via wiretap, was posted to YouTube on Tuesday afternoon by “Jon Doe.” The roughly two-minute video reportedly includes a part of a conversation between Córdova and his executive secretary, Edmundo Jacobo. The exchange likely happened after an April 23 meeting where indígenas, or indigenous people, asked to be allowed to create another federal constituency in Congress, Excelsior reported. 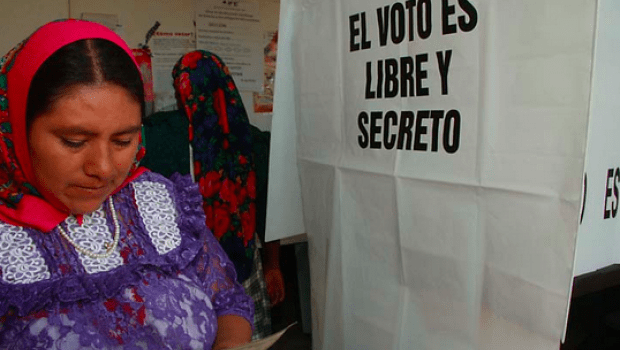 The indígenas had said they’d stop the elections if their requests weren’t granted, and they eventually met with Córdova. MONTERREY, Mexico—A maverick former mayor known as El Bronco is mounting a competitive bid as Mexico’s first independent gubernatorial candidate, a sign of Mexican voters’ rancor toward the country’s traditional political parties. Running a social media campaign waged on a shoestring—supporters press crumpled bills into his hands on the stump— Jaime Rodríguez is shaking up politics in Nuevo Leon, the conservative northern border state that includes the industrial powerhouse of Monterrey, and jolting politicians nationwide. An opinion poll published Friday in El Norte, Monterrey’s leading newspaper, puts Mr. Rodríguez ahead of his rival from the ruling Institutional Revolutionary Party, or PRI, in the June 7 vote. The PRI has ruled Nuevo Leon for 80 of the past 86 years. Mr. Rodríguez’s unlikely bid has emerged as one of the most watched in a midterm vote that will replace all 500 members of Mexico’s lower house of Congress, nine governors and hundreds of state legislators, mayors and city councils. Polls suggest that the PRI and its allies are likely to retain a slight majority in Congress. But that doesn’t mean all is well in Mexico for the ruling party. 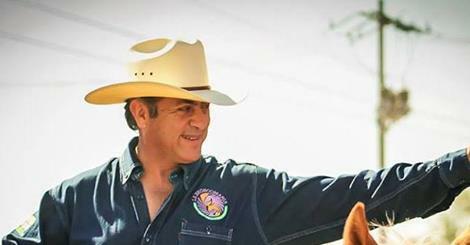 Mr. Rodríguez, a rancher, businessman and thrice married father of six, represents a new page in Mexican politics: the rise of independent candidates running against the traditional parties, something that was illegal until a 2014 political overhaul passed by congress. “This is making the political parties tremble because a candidate without a party, a structure or resources is giving them a fight,” Mr. Rodríguez, 58, said in an interview. June’s vote takes place amid mounting voter frustration with continued underworld violence, a lackluster economy, and corruption scandals that have hit all three major parties, especially the PRI. President Enrique Peña Nieto and his finance minister have come under scrutiny for property deals they made with government contractors. They both deny any wrongdoing. Civic groups have accused family members of Nuevo Leon’s current governor illicit enrichment through dirty land deals. They deny wrongdoing.